Assembly dissolution seen as masterstroke. 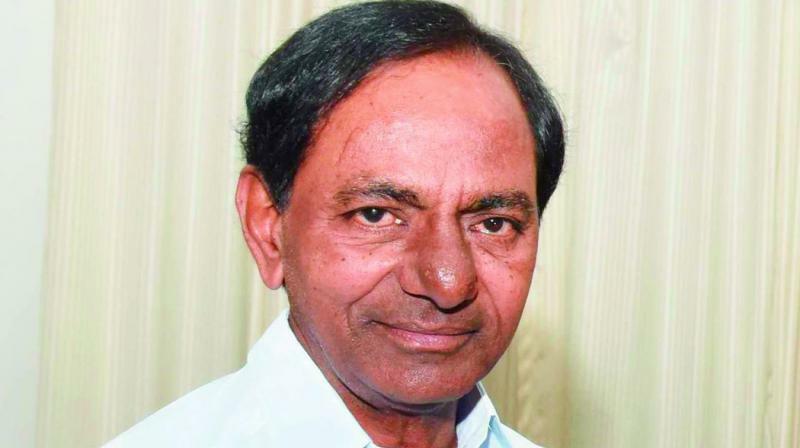 Hyderabad: With less than a month left to go for the elections, a survey has showed that Chief Minister K. Chandrasekhar Rao is set to sweep the December 7 state elections. About 75 per cent of those polled by the Political Stock Exchange (PSE) of a national media organisation said they would vote for the TRS. The PSE is stated to be an innovation in election analysis and keeps weekly track of the political pulse. The Telangana PSE poll was conducted across 17 parliamentary constituencies in the state via telephone interviews, with a sample size of 6,877. The results seem to suggest that the early dissolution of the state Assembly to advance elections was indeed the “masterstroke” that the Chief Minister’s supporters claimed it was. Unusually, the poll showed that there was a strong pro-incumbency wave helping Mr Rao. The TRS was found to be leading among all segments of the population. The social welfare schemes targeted at different communities that were initiated by Mr Rao seemed to be paying dividends apart from programmes like life insurance and Rythu Bandhu farmer assistance. Mr Rao has kept his lead over several weeks of the PSE survey. According to the poll results, the Congress-TD alliance doesn’t seem to be delivering results, and Asaduddin Owaisi’s MIM would mar the Congress’s fortunes in Hyderabad by eating into its vote bank. The PSE survey added to the mood of the TRS cadres, who said that it had given them a boost in view of the criticism of the government by the Opposition and the targeting of party star campaigners, particularly caretaker minister T. Harish Rao, with “mind games”. Party leaders said that Mr Chandrasekhar Rao who had planned to restart the campaign soon after the notification for the polls was issued on November 12 would canvass vigorously. Mr Rao had announced 105 candidates after the dissolution of the Assembly on September 6. He has repeated stated that his surveys show that the TRS would sweep the elections by winning 100 seats and come to power with a thumping majority.